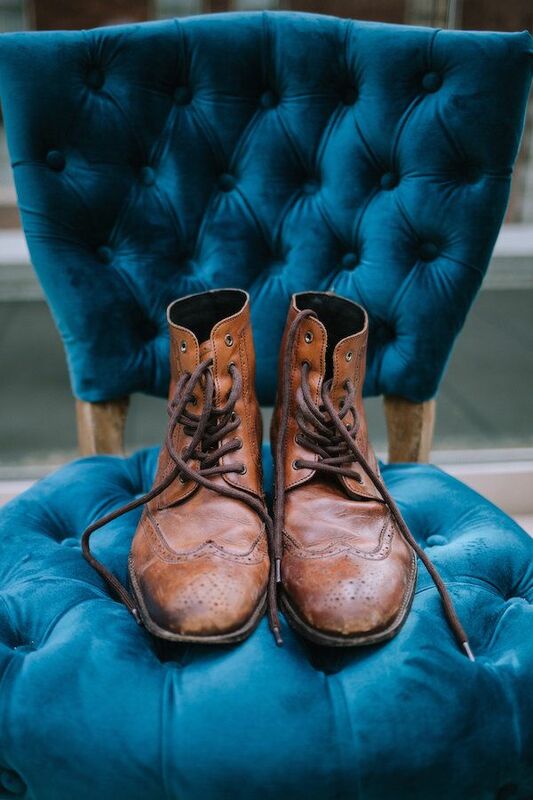 Have you ever read a book or watched a movie and wanted to write a new ending for it? 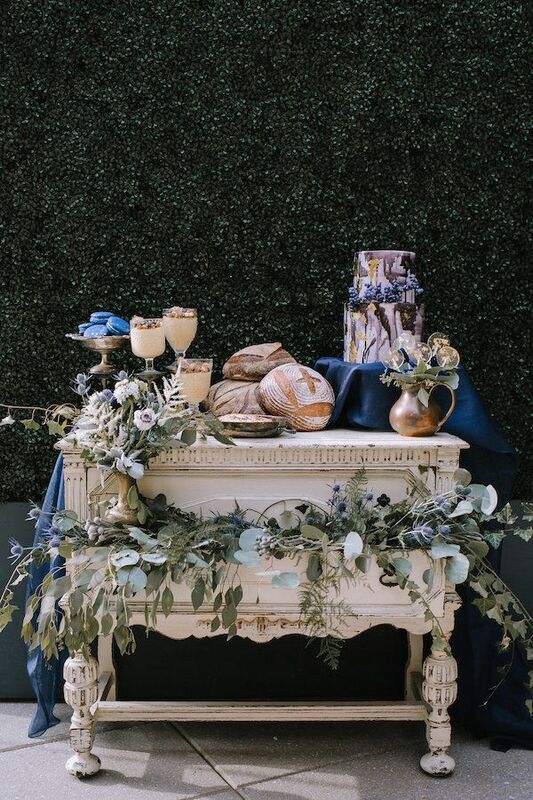 (For instance, we all know there was plenty of room for Jack on that door, Rose...) Well that's exactly what the design team for ​Exhale​ ​Events​ aimed to do with Shakespeare's tragic romance of Romeo & Juliet. 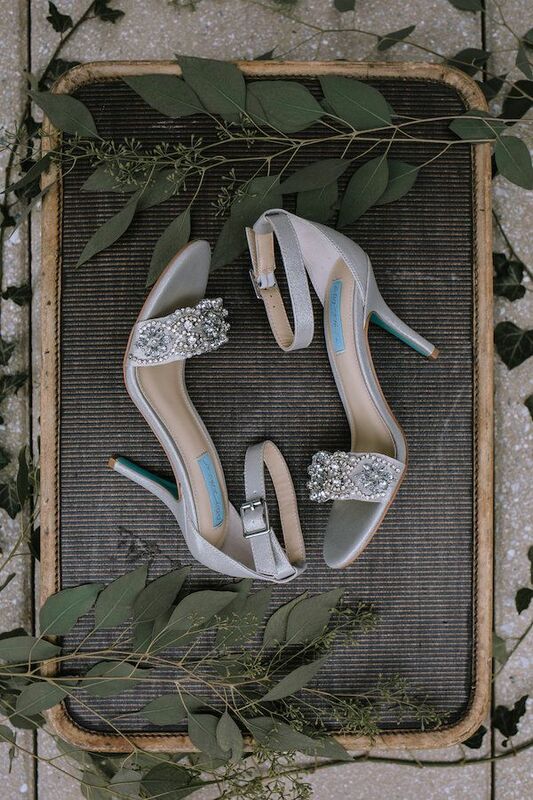 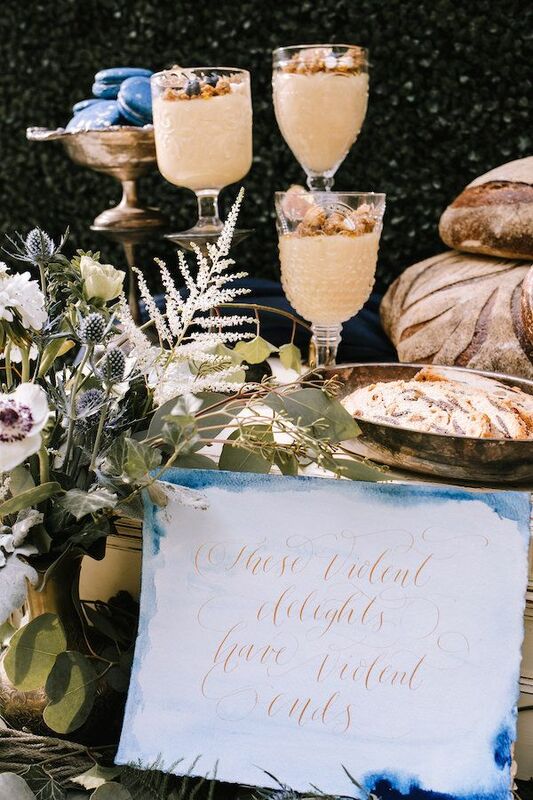 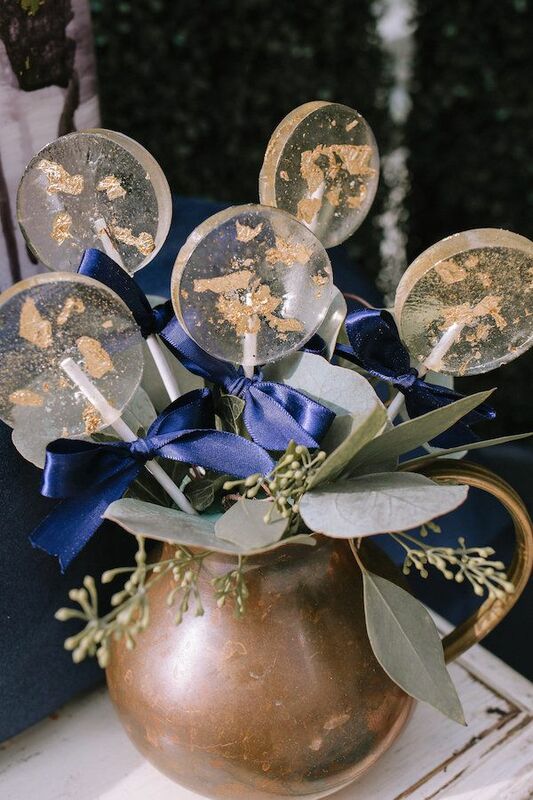 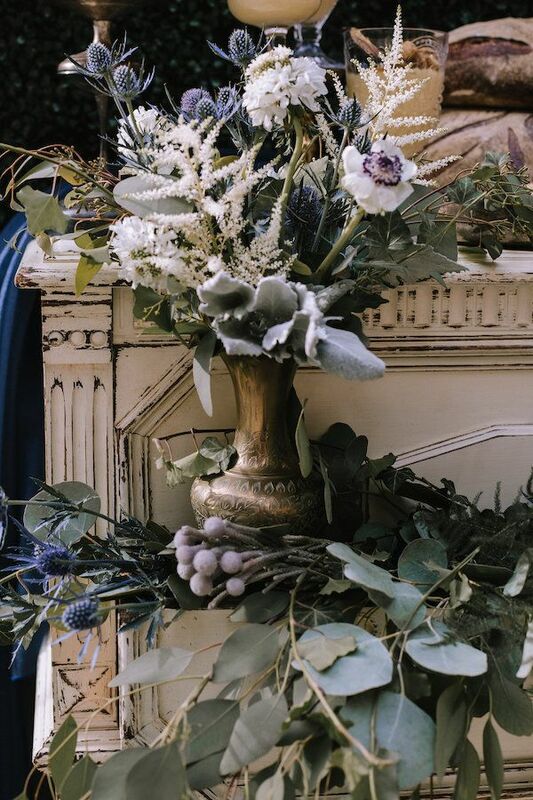 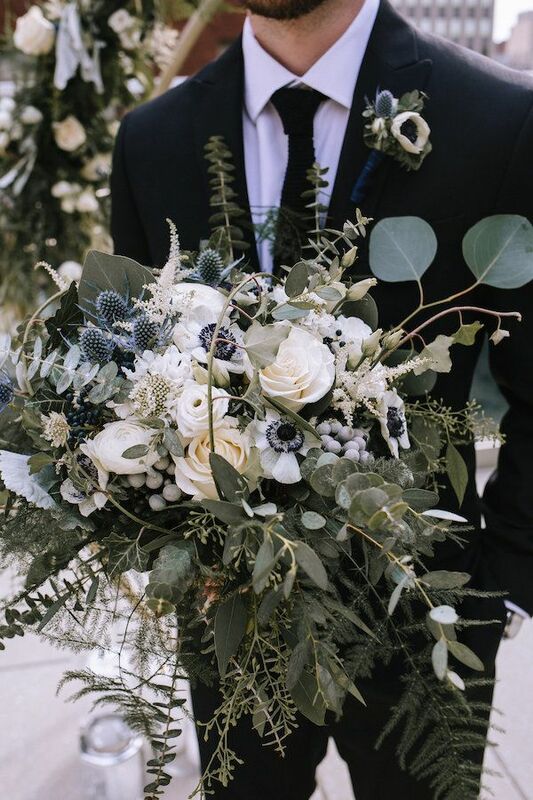 Captured by Kaitlin​ ​Powell​ ​Photography​, get ready for a whole lot of lovely thanks to this incredibly talented team with florals by Community​ ​Flower​ ​Shop​. 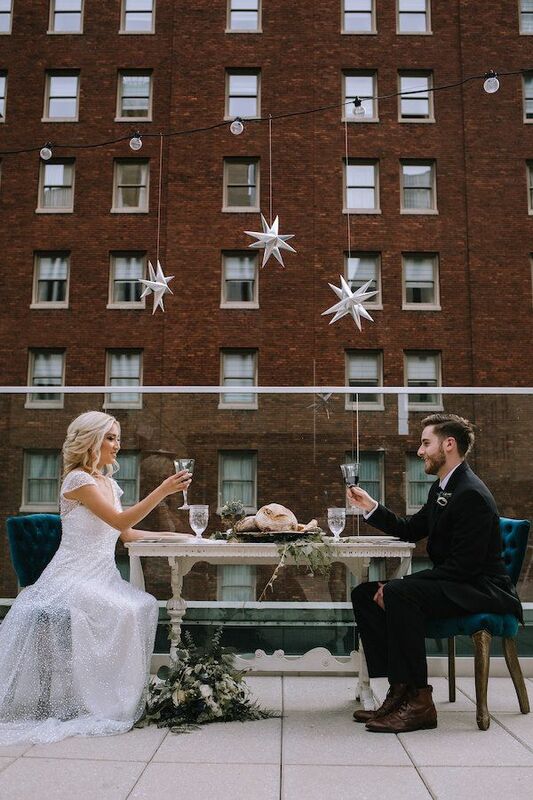 From the team, "In this literary inspired shoot we decided to reimagine what it would've looked liked if the family feud between Montague & Capulet had come to an end allowing the star-crossed lovers to live happily ever after." 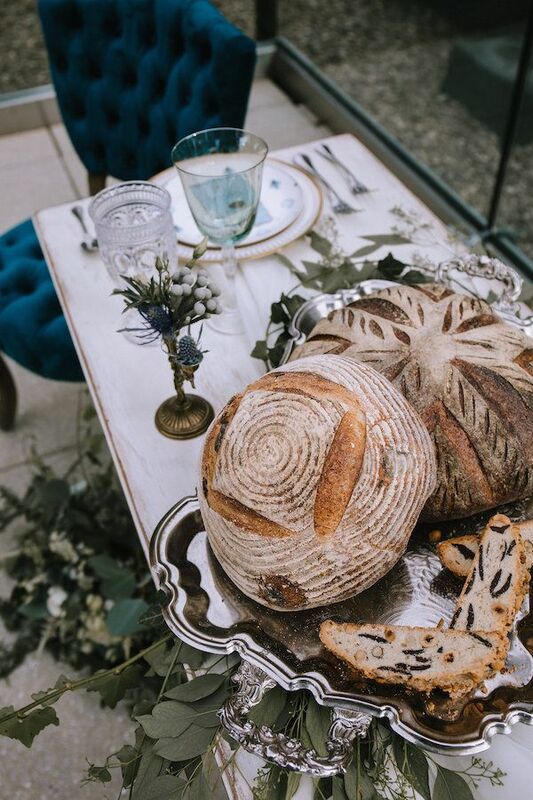 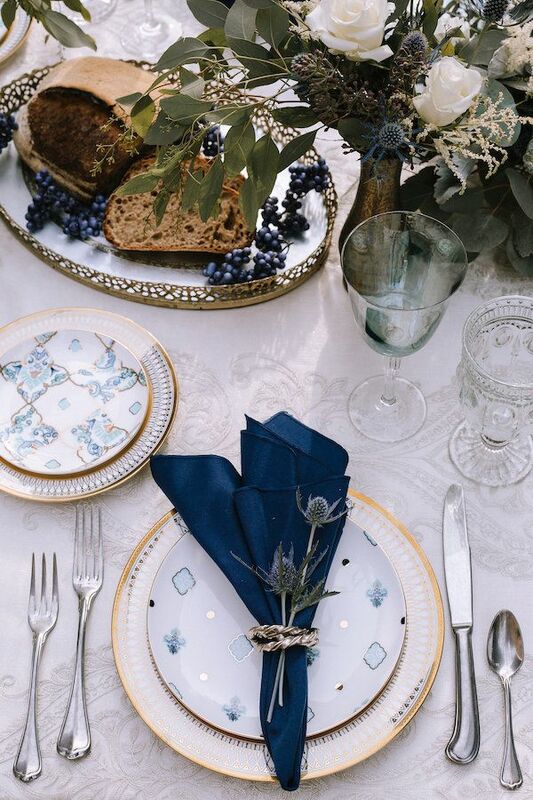 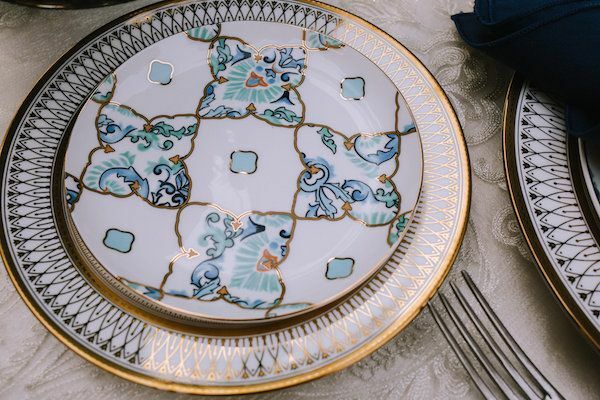 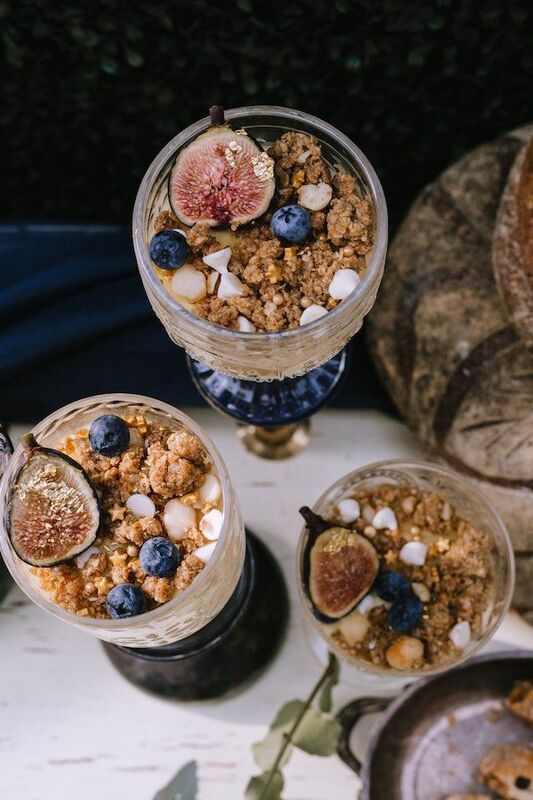 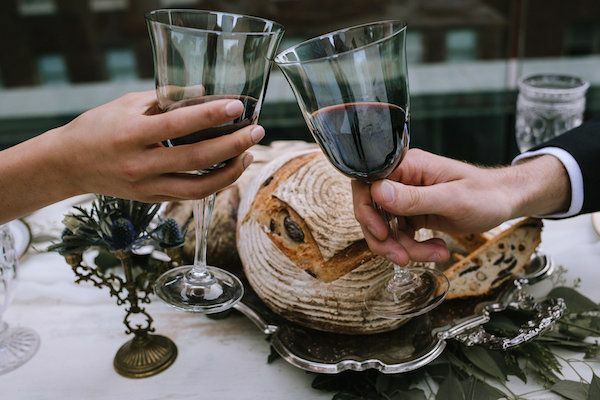 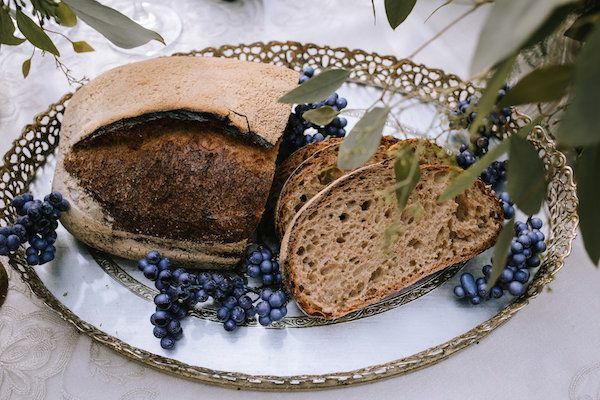 "Influences of medieval Verona can be identified throughout with the floral selections being indigenous to that region of Italy as well as a dessert table adorned with fresh baked breads and puddings which suited that time era." 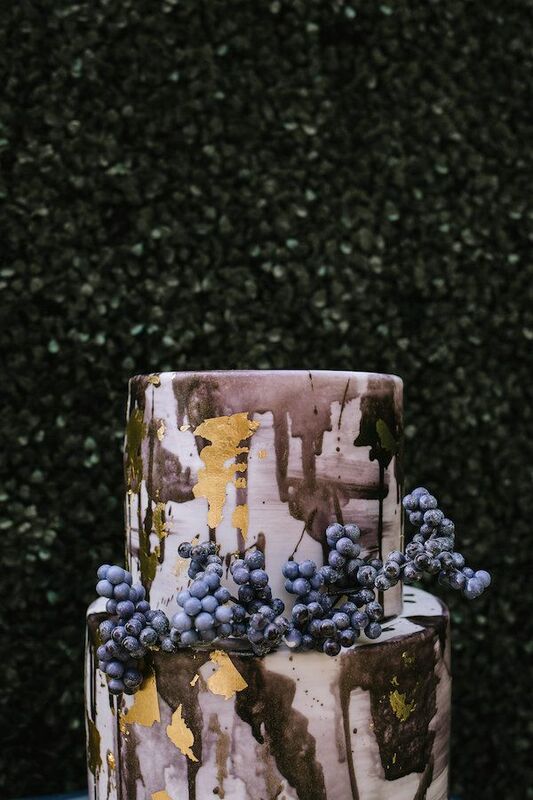 Totally in love with this cake from Mediterra​ ​Bakehouse​! 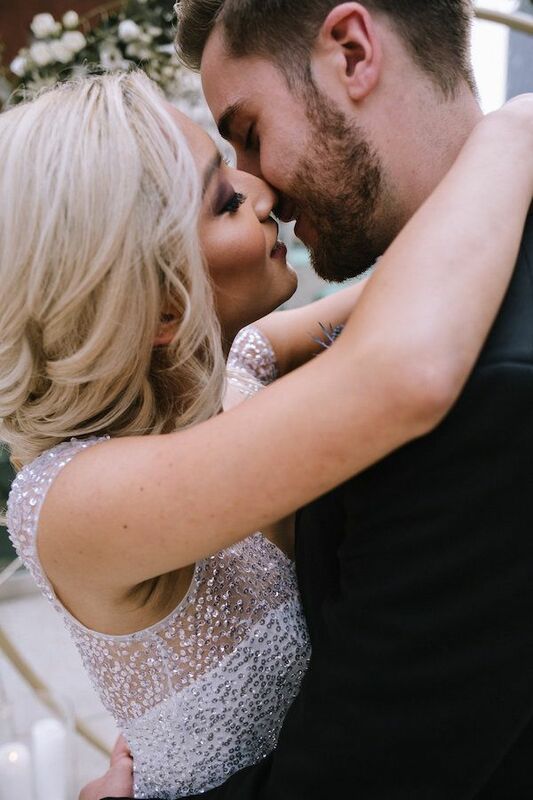 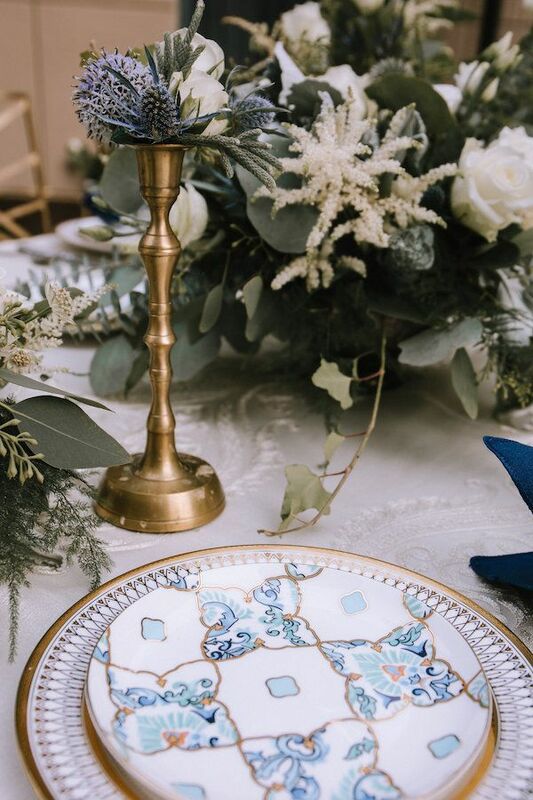 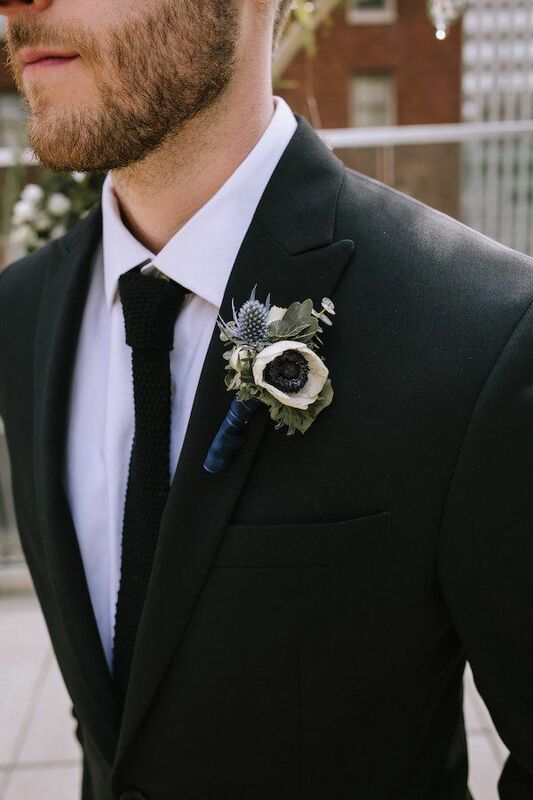 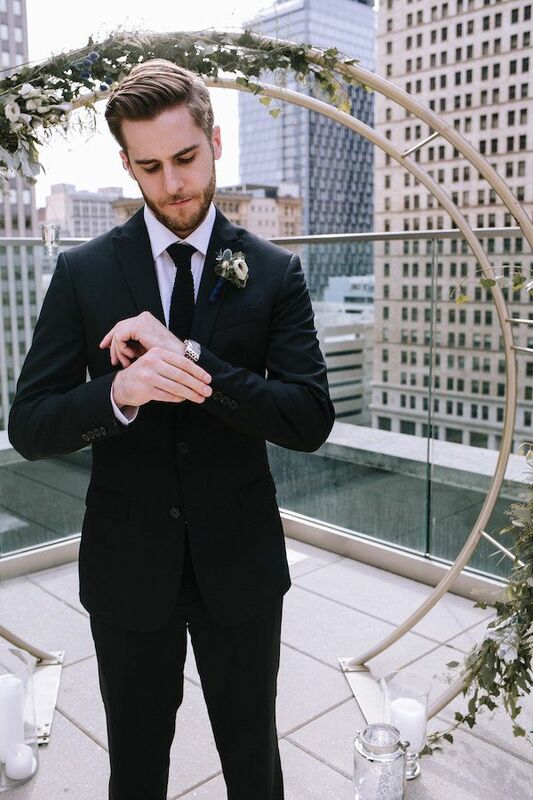 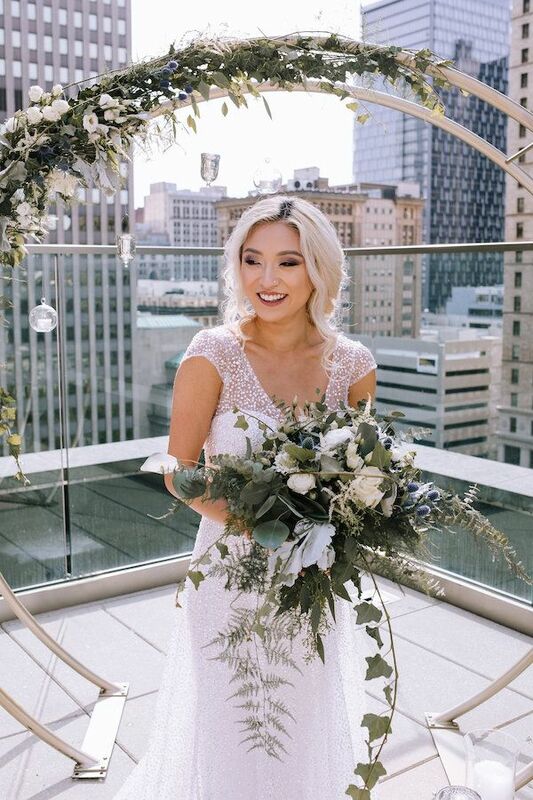 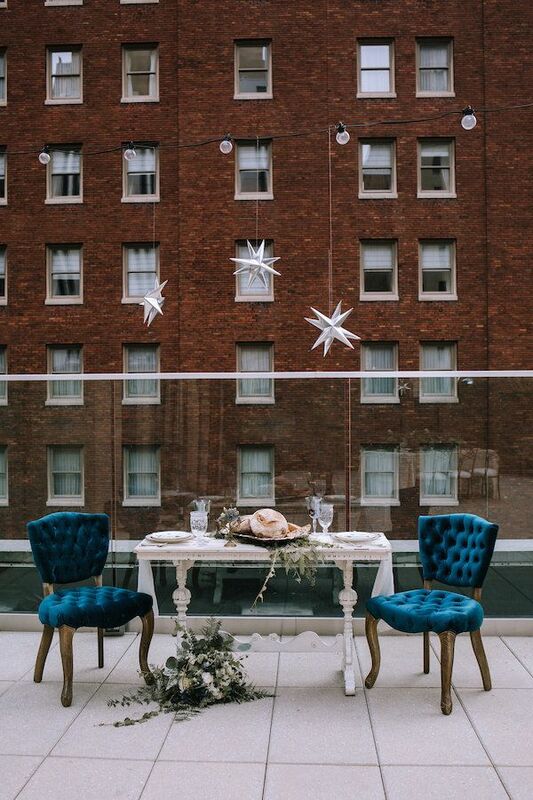 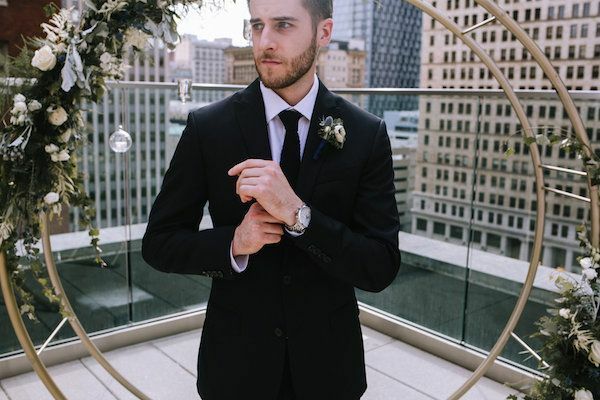 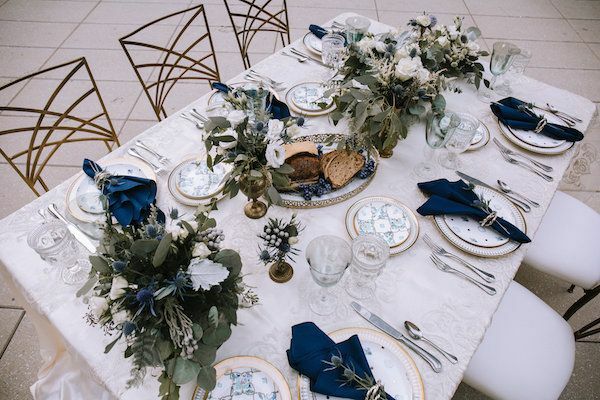 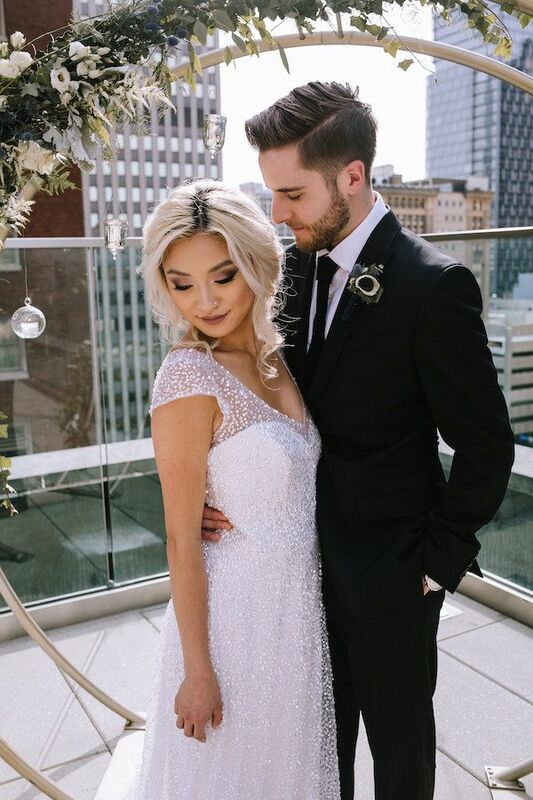 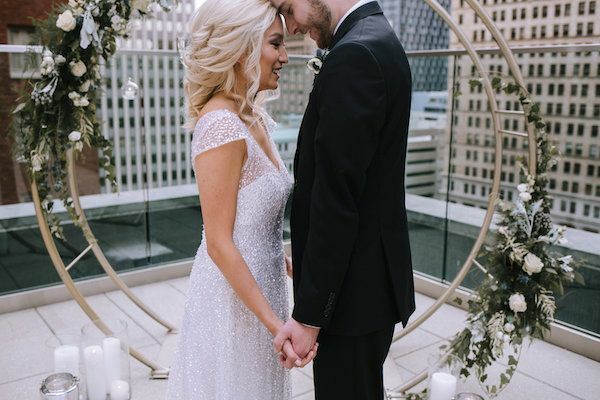 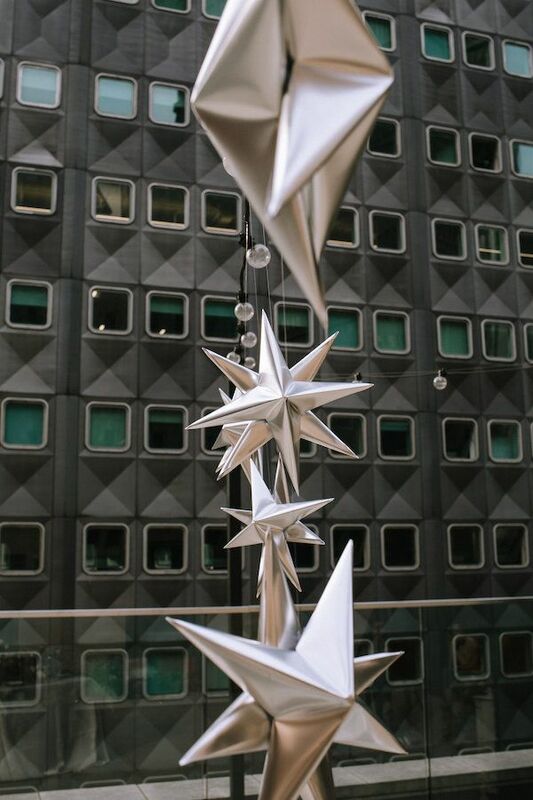 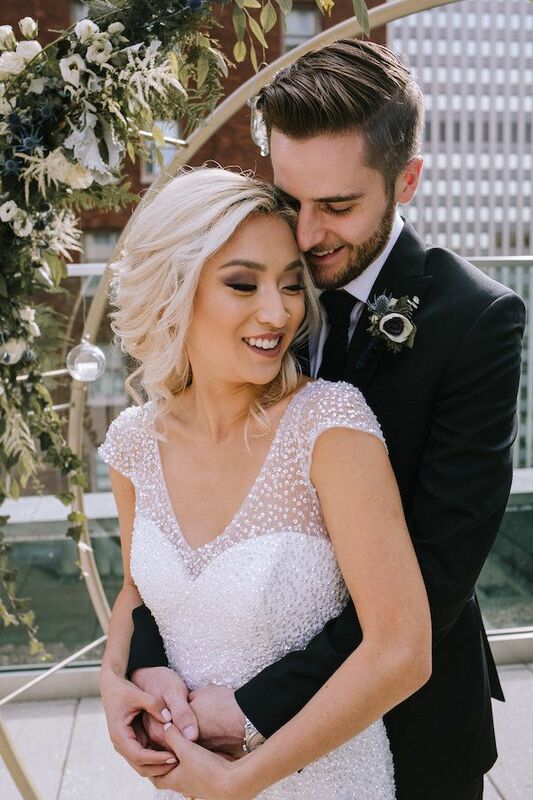 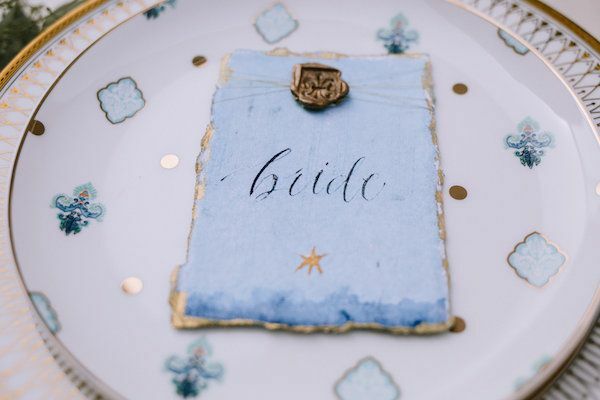 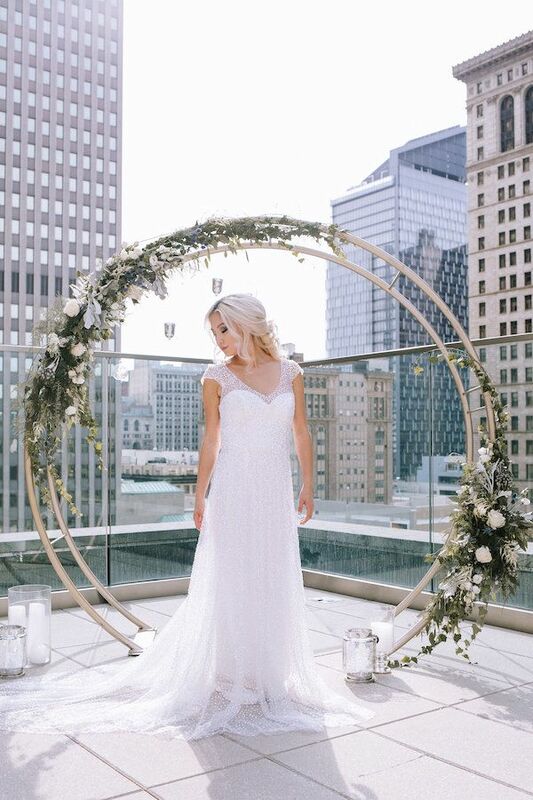 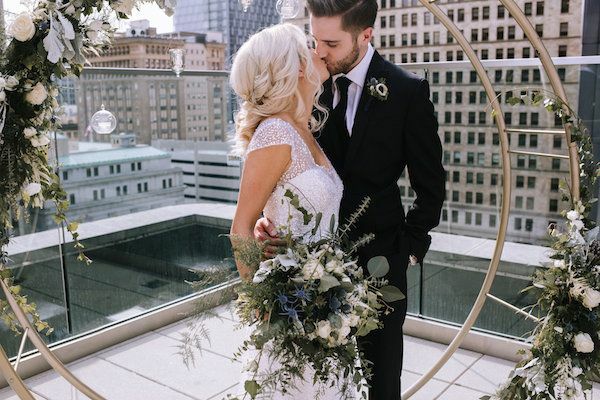 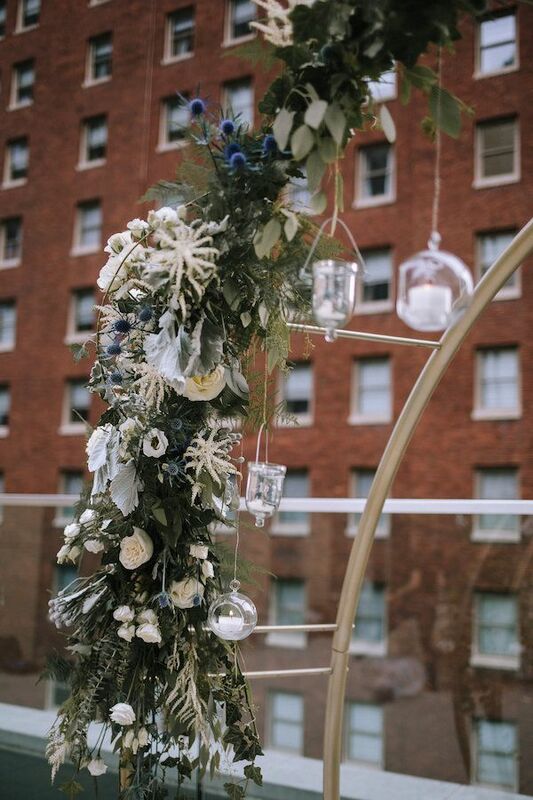 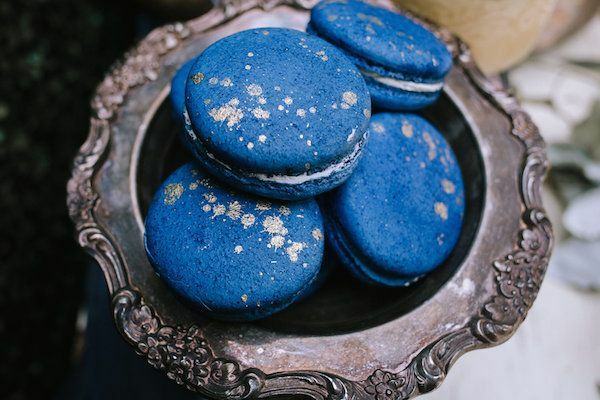 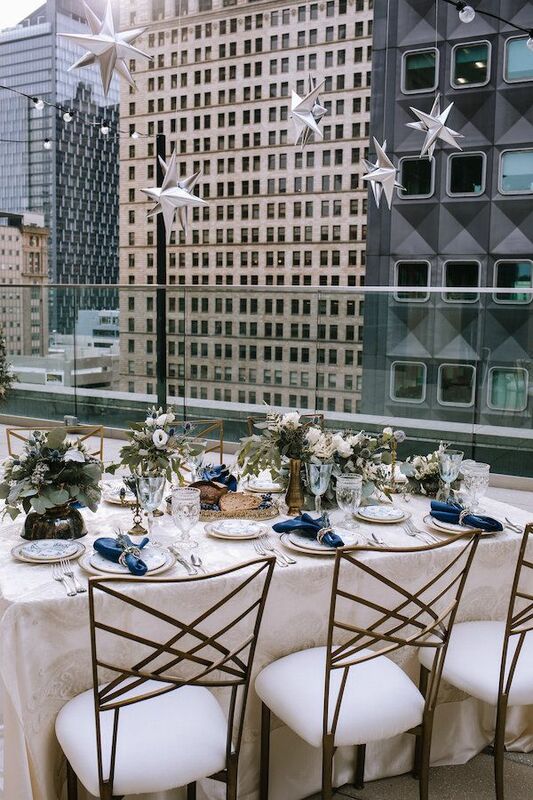 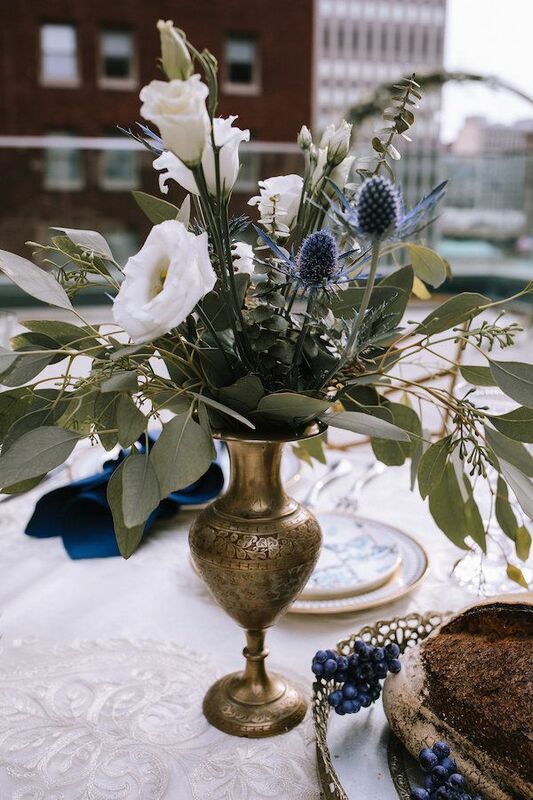 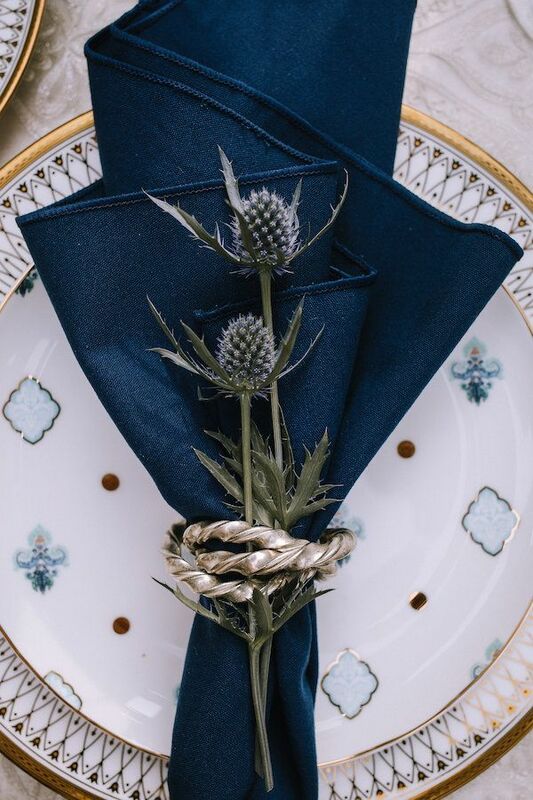 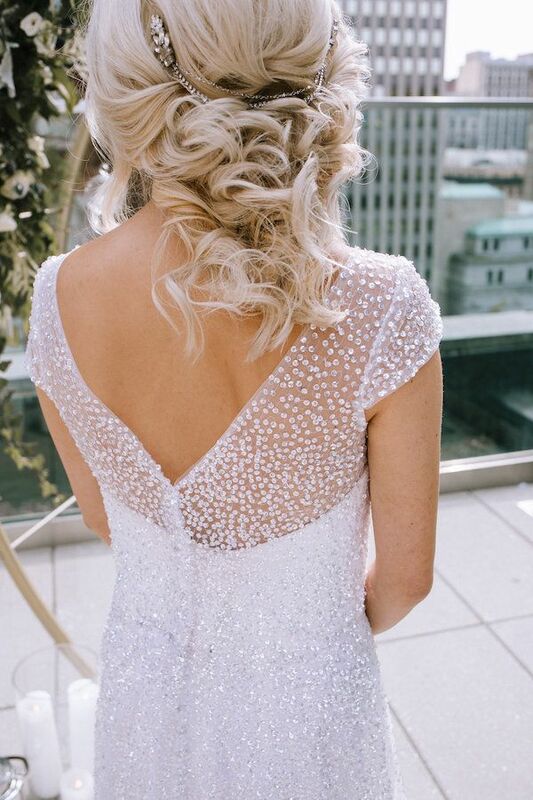 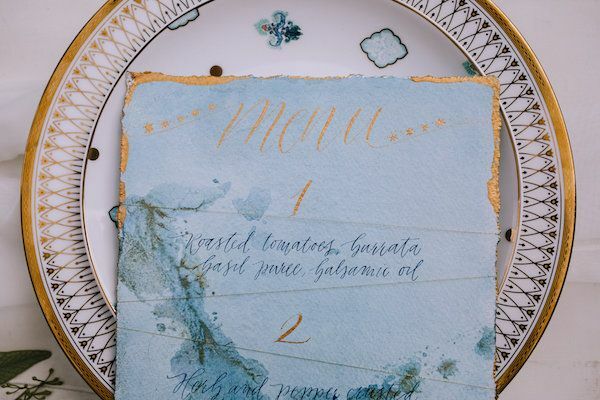 More from the team, "The reception is a display of the stars finally aligning for the couple with an elegant and intimate table overlooking the skyline of downtown Pittsburgh, PA."
"This is the ending, or quite possibly the beginning, we had envisioned for this infamous tale." 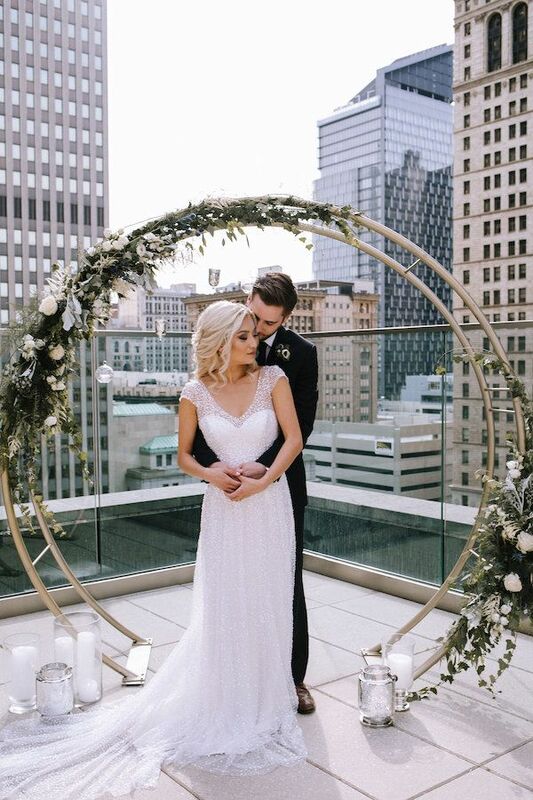 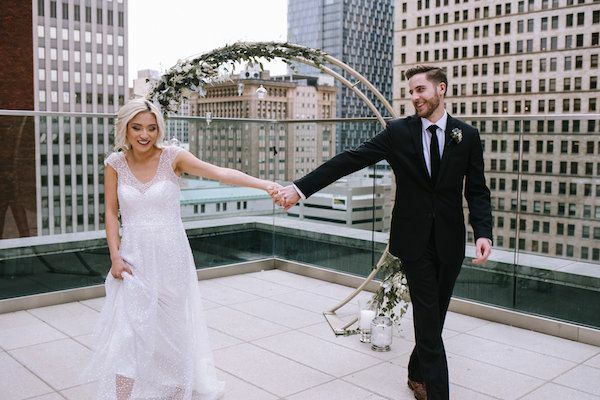 Vintage​ ​rentals and this incredible moon​ ​arch from ​Vintage​ ​Alley​ ​Rentals​ ​set the scene for romance on this day and ​All​ ​Occasions​ took care of the non-vintage rentals. 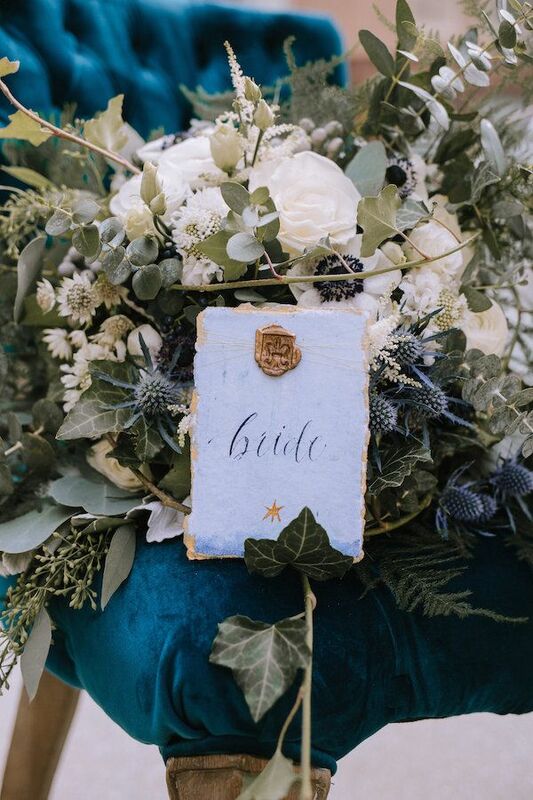 Don't miss this incredible film by ​Danielle Durbin Film & Photo which totally captures the magic of the day! 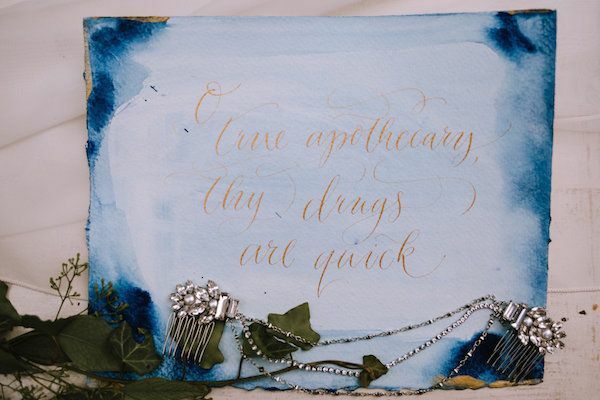 Star Crossed Lovers SS from Danielle Durbin Film | Photo on Vimeo. 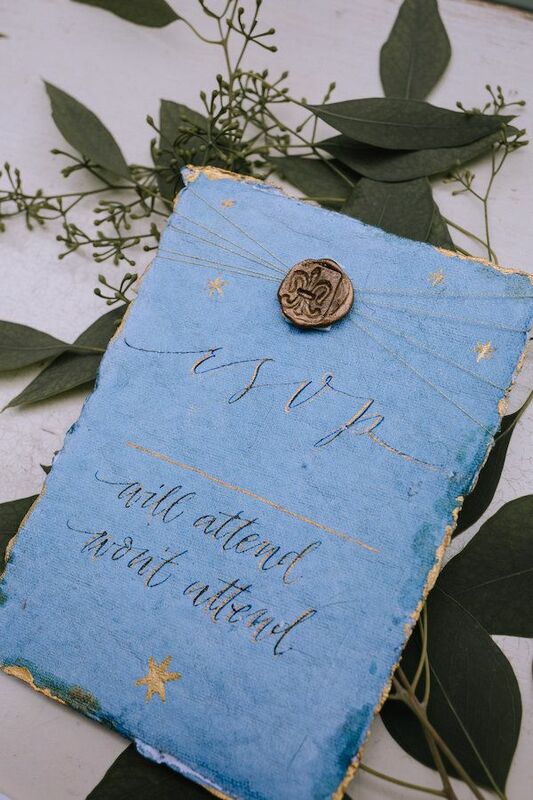 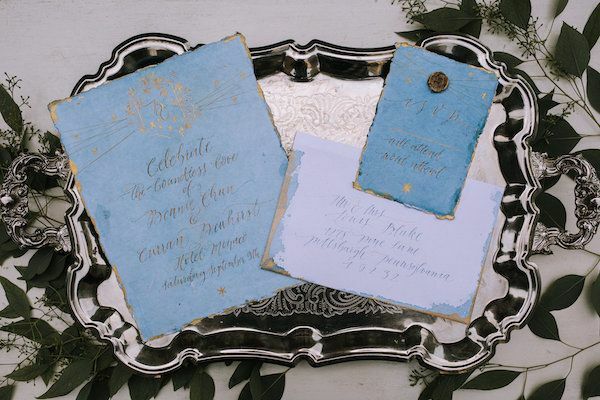 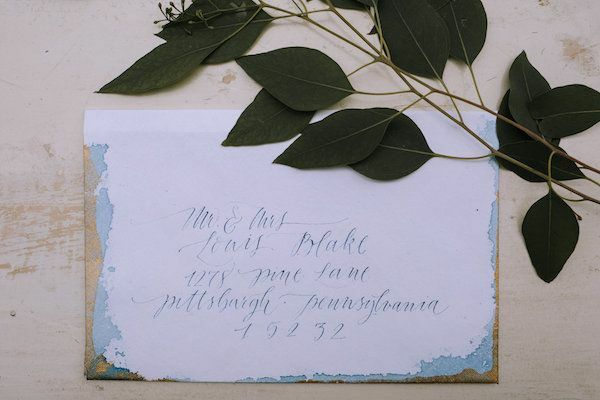 And this stationery and calligraphy from Judith​ ​Brown​ ​Calligraphy​? 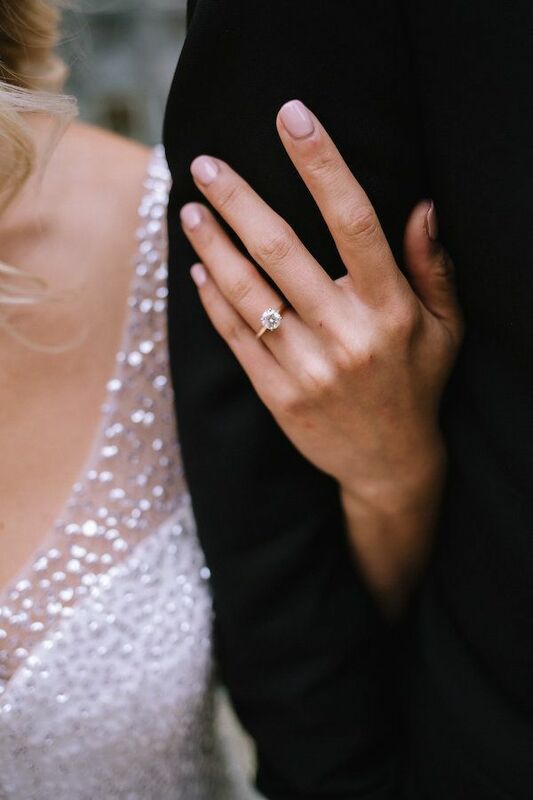 Totally pin-worthy if you ask us! 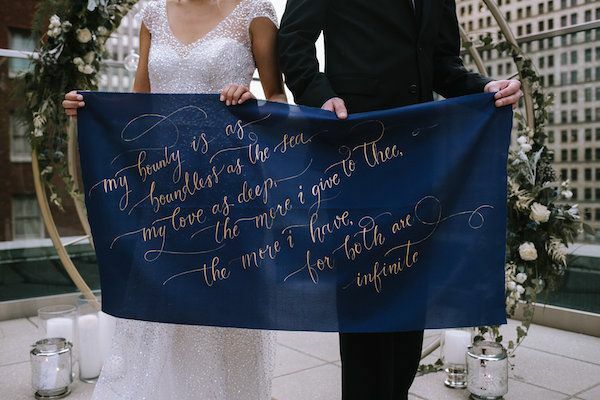 1 One Comment " Star Crossed Lovers Inspired by Romeo & Juliet "